Surprisingly, only 50 years ago, hypertension was still considered an “essential” condition that everyone would acquire as a natural part of the aging process. That explains just how common the condition was in the ‘old days.’ And today hypertension is still incredibly common, affecting 1 in 3 adults over the age of 20. The first blood pressure medication, thiazide diuretics, weren’t introduced until the late 50s. And even so, it wasn’t until decades later that researchers and physicians alike, realized the gravity of having a high blood pressure – that it wasn’t an “essential” condition and that it significantly increased people’s odds of heart attack, stroke, and death. All these years later, we now know that it’s essential to treat it to avoid those nasty consequences. And today there are hundreds of medications that can effectively treat hypertension. Here you’ll learn why it may be necessary to take blood pressure medications, the types of high blood pressure medications available and their side effects, along with alternative treatments and important things to talk about with your doctor. 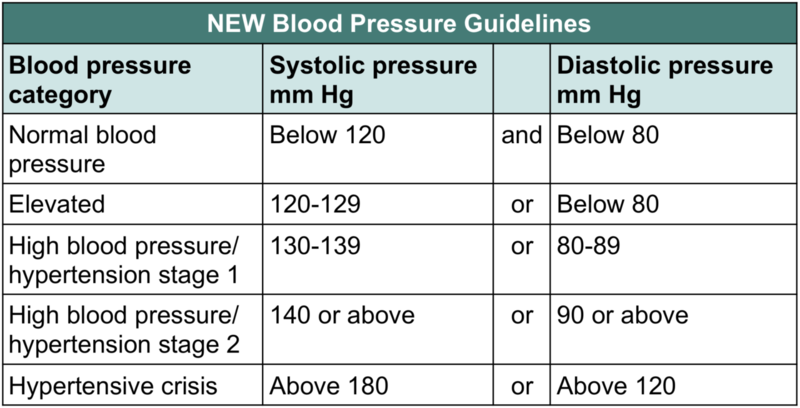 Take a moment to examine the following blood pressure categories, as recently there have been a few changes. As you can see, hypertension stage 1 is now classified as anything between 130-139. If your physician takes a measurement in this range, they will recommend you begin making lifestyle changes. And depending on whether you have other cardiovascular risk factors, your physician may recommend you take medications. These risk factors could include hereditary, weight, cholesterol levels, diabetes, smoking and lifestyle habits. According to the National Heart Foundation, if you have stage 1 hypertension but your overall cardiovascular risk is low, you may not need to take medications. Instead, you’d be advised to make lifestyle changes only. It may not be until you reach a persistent blood pressure measurement over 140 (stage 2 hypertension) that you’d need to consider medications. Regardless of whether medications are recommended, making lifestyle changes can help reduce blood pressure. However, you should be prepared to take medications if necessary. Once blood pressure increases significantly, it can be more difficult to control with lifestyle changes alone. And while medications may not be an ideal proposition, it is a matter of risk versus benefits. You want to do all you can to reduce your blood pressure naturally. But overall, the primary goal is to lower your blood pressure because it does reduce your risk of heart attack and stroke. Blood pressure medications are also called ‘antihypertensives.’ For a full list of each medication generic and brand names, refer to this list from the American Heart Association. Here we’ll briefly cover each class of medication, their actions, and their side effects. These medications make the body produce less of a hormone called angiotensin so that the vessels relax and open up, thereby reducing blood pressure. Side effects: Allergic skin reactions and chronic cough are the most common. Reduced kidney function is possible. Risk of kidney damage increases if taken with over-the-counter non-steroidal anti-inflammatory drugs (NSAIDs). Popular brand names: lisinopril, benazepril, perindopril. These are also known as ARBs or SARTANS. Collectively, ACE and ARBs are the most frequently used blood pressure drugs. ARBs block the effect of the hormone angiotensin so that rather than constricting, blood vessels stay open and relaxed. Popular brand names: irbesartan, telmisartan, losartan. These medications are designed to help the body eliminate sodium and water to ease the heart’s workload and reduce blood pressure. Diuretics are often used in combo with other antihypertensive drugs. Side effects: Increased urination should be expected. Other common side effects include allergic skin reactions, low blood pressure with dizziness, increased thirst, headaches, muscle cramps, and gout. Beta-blockers reduce the body’s heart rate to help reduce the output of blood and the heart’s overall workload, which helps lower blood pressure. Side effects: Nausea and fatigue are the most common. Decreased potassium can cause weakness and muscle cramps. Gout can occur with prolonged use. Increased blood sugar levels can occur in people with diabetes. And impotence can be a likely outcome as well. Popular brand names: atenolol, metoprolol , acebutolol, bisoprolol fumarate. These medications help relax the tone of the muscles in the walls of the arteries and vessels to reduce their resistance and lower blood pressure. Side effects: Low blood pressure and dizziness, especially when standing up; and a fast heart rate. There are also combined alpha and beta-blocker medications available. Popular brand names: Dibenzyline, Terazosin. Calcium entering the smooth muscle cells of the heart can cause a more forceful heart contraction that increases blood pressure. Therefore, these medications are designed to block calcium. Side effects: Common side effects include palpitations, swollen ankles, constipation, headache, and dizziness. Popular brand names: amlodipine, isradipine, nimodipine. This medication works by decreasing the adrenalin-producing activity of the sympathetic nervous system. It’s often prescribed to pregnant women as it has no side effects on the developing fetus. Side effects: Dizziness and drowsiness. Popular brand names: Methyldopa, Guanfacine. These achieve the same effect as alpha and beta-blockers, but they follow a different nerve pathway to prevent blood vessels from tensing up and contracting. Side effects: Low blood pressure that makes you feel faint and weak, especially when in an upright position. Severe mouth dryness, constipation, and drowsiness. Popular brand names: GUANFACINE HYDROCHLORIDE. These blood pressure medications work directly on blocking neurotransmitters in the brain to prevent the brain-heart communication that triggers the blood vessels to constrict. Side effects: Heartburn, diarrhea, stuffy nose, insomnia, depression, nightmares, low blood pressure that makes you feel faint and weak, and impotence. Popular brand names: Guanadrel, Guanethidine Monosulfate. These are also known as vasodilators, and as their name suggests, they relax the blood vessels to allow them to widen so blood can flow with greater ease. Side effects: Headaches, eye swelling, heart palpitations, aching and painful joints, fluid retention, and excessive hair growth. Popular brand names: Minoxidil, Hydralazine . What’s the best blood pressure medication to take? That decision has to be made between you and your doctor. In many cases, it can be a bit of trial and error because your individual response to a medication is unpredictable. It will also depend on whether you have another condition that needs to be factored into the equation. You may also be concerned about all those side effects, and that indeed is a fair concern. The most important thing is, don’t ignore the side effects. You should report to your doctor of any abnormal symptom you notice. For example, if you notice a medication is making you feel sick, another treatment may be needed. Don’t just live with the side effects because as you saw from the list above, there are many options available. And of course, you can try to minimize the amount of medication you need to take, and in some cases eliminate them in time, by using alternative treatments. Put it this way, every healthy change you make will have a beneficial effect on your blood pressure. And if you do take blood pressure medications, engaging in alternative treatments alongside your medications is highly recommended. Though, it is best to speak to your doctor about your chosen course of action, to make sure there are no contraindications. Many people take multiple medications for various health conditions, so if this is your situation, it’s normal to feel concerned. Regarding blood pressure, it is not unusual that people require multiple medications to achieve a healthy blood pressure range. And indeed, if you have other health conditions, you may need medications to treat those. However, in most cases, there are extra things you can do to help minimize your need for medication. Dr. Rowena discusses more about that over here. Can I fast while taking blood pressure medications? Fasting can put the kidneys and organs under more pressure. Therefore, if you need to fast for religious or personal reasons, this is something best discussed with your doctor. Dr. Rowena discusses more about fasting and medications over here. Do blood pressure medications remain effective long-term? Blood pressure medications don’t lose their effectiveness, but various aspects of your body can change. For instance, you might gain weight and need more medication, or on the other hand, you could lose weight and need less medication. What this means is that the medications always stay the same, but it’s your body that could change and influence the amount of medication you need. Can you get off medication once you’re on it? Yes, this is possible. If you are diligent about making healthy lifestyle changes, you can reduce or eliminate the need for blood pressure medication. You should speak to your physician. While some people can experience side effects to medications, the good news is, because there are a wide variety of blood pressure medications available, your physician can swap the medication you are taking to a different class, and this can reduce your side effects while still helping you achieve healthy blood pressure. Is blood pressure of 150/90 bad? Yes, this is not normal blood pressure. 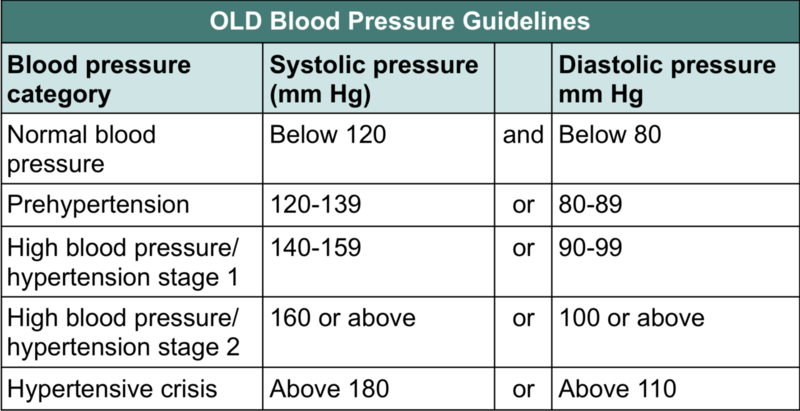 Under the new blood pressure guidelines, any measurement that is 140 or above systolic and 90 or above diastolic, is considered stage 2 hypertension, which means your doctor will likely prescribe medications to help lower it. Plus it’s always recommended you get more proactive in making lifestyle changes. Is there any over-the-counter medication for high blood pressure? No. All blood pressure medications must be prescribed and monitored by your doctor. How long does it take to lower blood pressure with medication? The length of time it takes to lower blood pressure depends on how aggressive the medication therapy is that your doctor may be prescribing. Some people will begin to see the effects of medication within days, while for others it may take a few weeks. Keep in mind that lifestyle changes you make will also influence the amount of time it takes to lower blood pressure. Some studies show the combination of medication and lifestyle can lower blood pressure to healthier ranges within a few weeks. Regular blood pressure monitoring will give you an indication of how effective your medication and lifestyle changes are.<p/ What is the healthy blood pressure for a 70-year-old woman? The normal blood pressure range for adults is below 120 mmHg systolic blood pressure and below 80 mmHg diastolic blood pressure. This reading is usually written as 120/80. Do I need to avoid over-the-counter medications when taking blood pressure medications? While over-the-counter medications are easily available, that does not mean they are without risk, so certainly be sure to take all due precautions when making your decisions. For instance, non-steroidal anti-inflammatory medications (NSAIDs) taken for pain relief, such as ibuprofen and naproxen, can increase blood pressure. While you may be able to take them alongside blood pressure medications in some cases, you should always speak to your doctor when considering taking any type of over-the-counter medication. Do I really need medication to control my blood pressure? The answer to this question depends on your situation and your motivation to make lifestyle changes. Overall, your primary goal is to get blood pressure within a normal healthy range because this reduces your risk of cardiovascular problems, heart attack, and stroke. You can implement lifestyle changes–such as eating a healthy diet, losing weight, reducing salt intake, and getting regular exercise–and it may be that this is enough to reach a healthy blood pressure, in which case you would not need medication. However, in some cases, while you can do all you can to control blood pressure through lifestyle changes, you may still need to take medication to achieve healthy blood pressure. Always discuss your options with your physician because the decision to take medication is a shared decision between you and your doctor. Am I taking any other drugs that might interact with my blood pressure medication? Certainly, some medications can interact with one another, so if you are already taking medication, you must disclose and discuss this with your doctor, as they are the best person to advise you about possible interactions. Can I skip taking my blood pressure medications some days? No. You need to take your blood pressure medication every day, regardless of whether you feel good or think you don’t need it. With that said, if you accidentally forget one dose, it is not likely to affect you all too much, but you should not make this a habit. If you do forget, do not double dose the next day because this is potentially dangerous. Instead, resume your normal medication routine. It is best to take your medication at the same time every day. Set a routine for medications, taking them at the same time each day. Most importantly, do not stop taking any prescribed medication without first speaking to your doctor. Jedha is a qualified nutritionist (MNutr), researcher, author, freelance writer, and founder of type 2 diabetic nutrition site. She has millions of words published in the health industry across various print and online publications. Having been in the field for over 15 years, she’s incredibly passionate about the latest research surrounding nutrition and health. Good-Bye Joe, Me Gotta Go, Eaten Jambalyo. This jambalaya is gentle yet flavor packed—great for the person whose stomach doesn’t tolerate a spicy hot dish. Hello, I purchased a reperate in 2004. I used it for quite a longtime, but did not see any improvement in my blood pressure. I still have labile blood pressured and would like to try to use the resperate again. At the time that I bought mine, there was a DVD that came with it that explained how to use it. I still have the resperate, but not the DVD. Can you give me instructions on how to use it? Do you have a trade in policy? Dear Barbara, We no longer have the videos. But you can find them on YouTube. Also, we do not have a trade-in program.